Beaver Removal and Beaver Control Services! Beaver Removal and Beaver Control is a service Hayman Wildlife Management provides throughout Stevensville, Benton Harbor, St. Joseph, and surrounding areas. 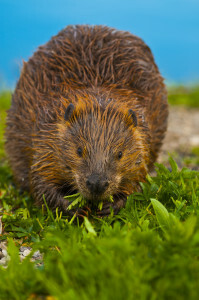 Our Wildlife Experts are specially trained to handle beavers and remove them from your property. 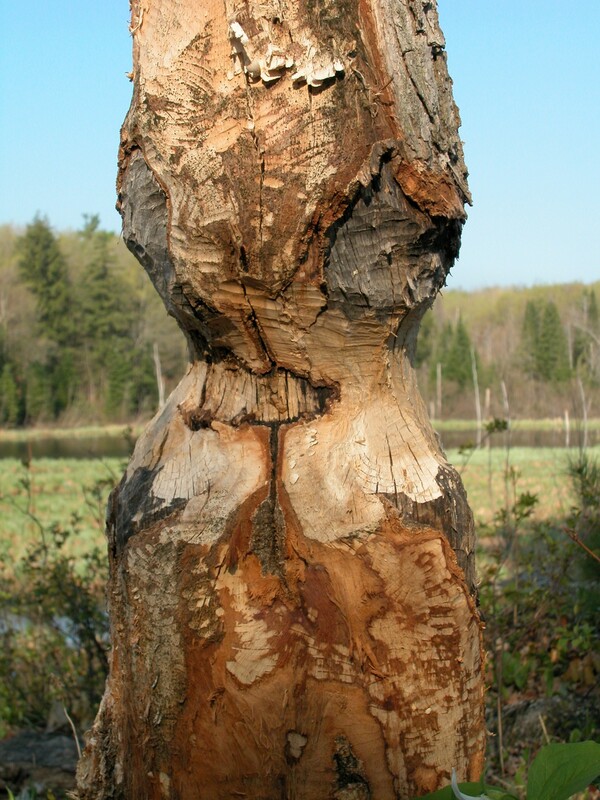 Beavers can wreck havoc on your lawn and the trees on your property. In preparation for winter, Beavers will start knocking down trees in September. They will chew down the trees that are not only tasty but are easily accessible then will move onto the less desirable trees. They will knock down the tree with their teeth then chew it up into smaller pieces or drag the whole tree into the water to create a “food bed”. A food bed is a stash of food that a beaver will instinctively build under the waterline of its current waterhole. This is done so the Beaver has access to food even if the water freezes. Beavers are very difficult to get rid of. Once they set up on or near your property, the only way to get rid of them is to trap them. Trapping beavers can be tricky and involves lots of patience. The first few beavers that are in their habitat (also called a “beaver lounge”) are easy to trap. The last couple of beavers left always present a challenge. Often times the trapper will have to switch types of traps in order to catch the Beaver. There are several different kinds of beaver traps. The cage trap is a non-lethal form of trapping and the most common type of trap that is used by Wildlife Removal Companies. Some states prohibit the use of certain traps, such as foot hold traps and suitcase traps. Both of these traps are considered lethal traps. In many states, beavers have been now places on the nuisance wildlife list and now have an open season on them. It is always recommended to call your local gaming office or contact Hayman Wildlife Management for trapping questions. The population of beavers is exploding and there is no natural predators to help control their numbers. If you have a beaver issue, please contact Hayman Wildlife Management at 269-588-0176 to schedule an inspection by one of our Wildlife Experts.